Luoman group has commited to pay regard to environmental aspects in its output and decision making and to improve continually environmental knowing. Certification is awarded by DNV Certification Oy/Ab. Luoman group has PEFC (Programme for the Endorsement of Forest Certification schemes) chain of custody certificate. Certificate No. is 74017-2010-AE-FIN-FINAS. PEFC-logo license PEFC/ 02-31-82. This certificate was first issued on 27.6.2008 and updated on 18.6.2013. 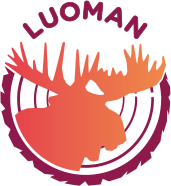 Lillevilla produced by Luoman Puutuote Oy is submitted to the manufacturer`s factory production control, including testing. The initial typetesting of the products, the inspection of the factory and the factory production control, which are under continuous surveillance, have been performed by VTT. the European Technical Approval ETA08/0011 were applied and that the manufacturer's factory production control and products and their properties fulfil the requirements in ETAG 012.